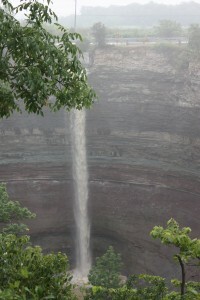 Devil’s Punchbowl is a ribbon waterfall 37 metres (121 feet) in height and a crest width of 3 metres (10 feet). 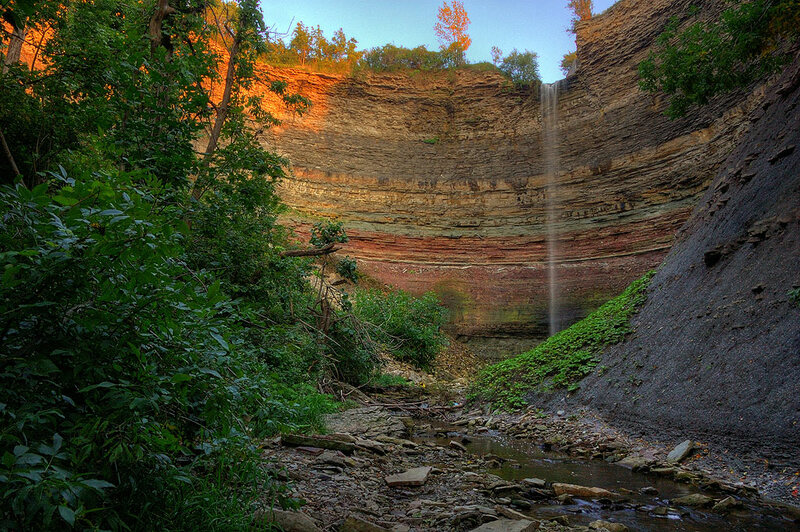 Located at the Devil’s Punchbowl Conservation Area in Stoney Creek, the area actually contains two separate falls: the Upper Falls is the ribbon shape, while the Lower is the classical type. 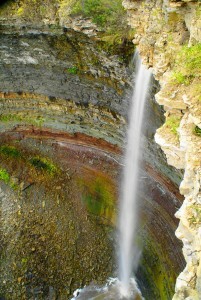 Known at one time as Horseshoe Falls, it is the third highest waterfall in Hamilton. 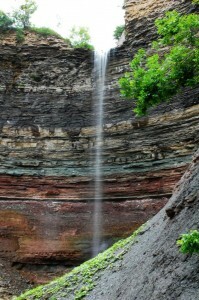 The Devil’s Punchbowl does dry up often and has water flowing after rainfalls and during the winter snow melt. Often when water is flowing, it is a trickle- however, this is still an impressive sight, as this thin ribbon waterfall falls 37 metres before making contact with anything. It is a beautiful area to explore especially from down below, the rock formations are amazing. Widely hailed as one of the Niagara Escarpment’s most unforgettable sights, it consists of colorful layers of stratified rock. The Devil’s Punchbowl was formed at the end of the last Ice Age by the melted ice, which rushed in torrents over the Stoney Creek Escarpment. 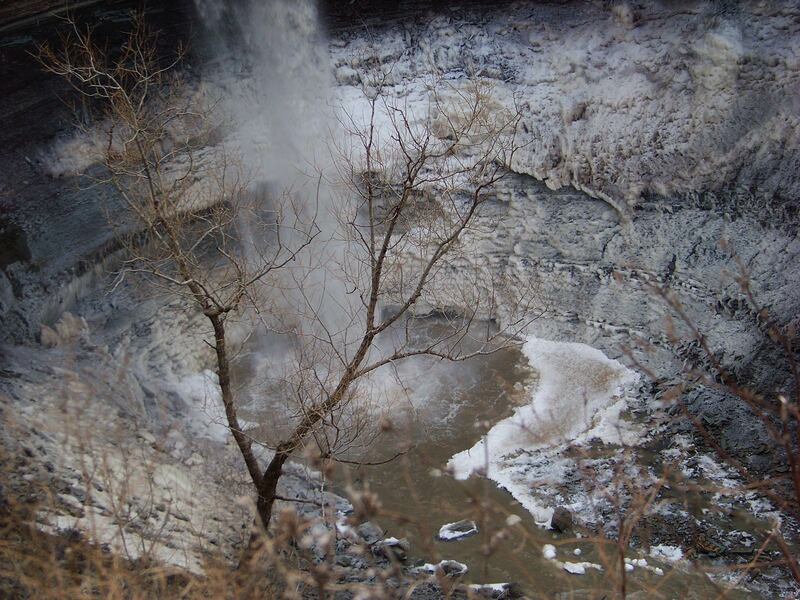 A number of stories circulate as to how the Devil’s Punch Bowl got its name. 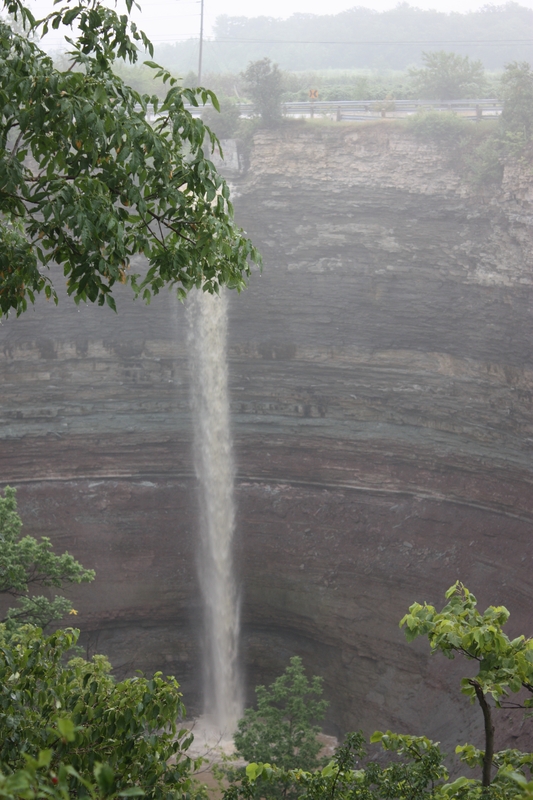 There is the possibility that it was named for the pails of home brew which, at one time, was bootlegged in the surrounding woods. Another story suggests that people who saw the beautiful sight as God’s work, knew that God would not want something named after himself, thus decided to name it after the devil instead. 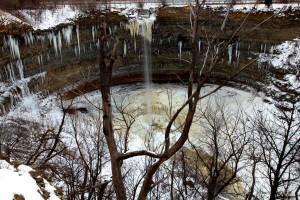 The punchbowl itself reflects the bowl-like shape of the rock formation. 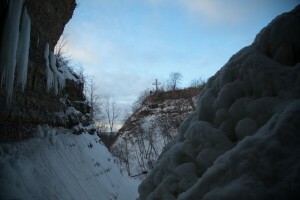 A ten meter high steel cross also stands in the conservation area. 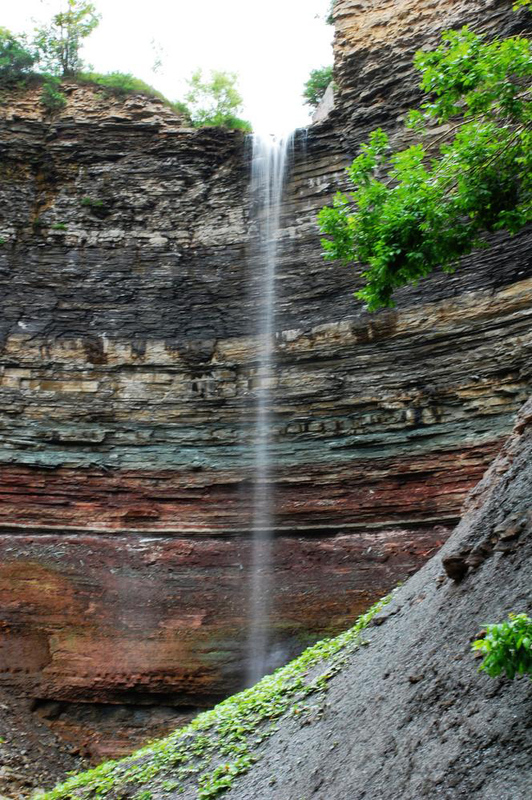 It was erected on Dec. 18, 1966 by a man named William Sinclair (1925-1994). He felt he could bring a little light to the world by building the huge steel cross which is lighted by 106 light bulbs. Originally planned to celebrate Christmas and Easter, the cross has shone every night of the year since 1991 thanks to donations made by a Stoney Creek Branch of the Knights of Columbus. 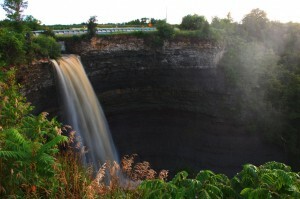 There is a platform which provides visitors with a stunning view of Hamilton. 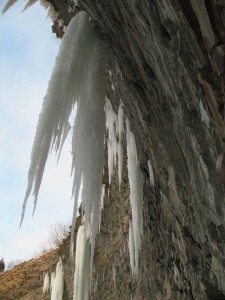 From there, a trail descends down into the gorge. The first half is quite steep, but the second half is a stairway. The trail then progesses up the creek to the base of the falls. The Punch Bowl has been the location of several film and TV shoots. In 1989 Super Dave Osborne performed a yo-yo stunt there that fans of his show talked about for weeks.